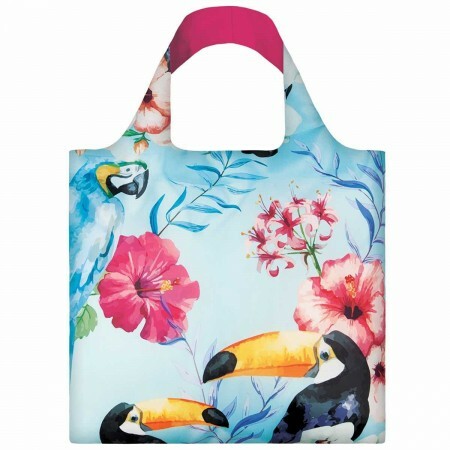 Toucans and flowers. LOQI reusable shopping bags have it all - strong, durable, water-resistant, food safe, lightweight, washable and good looking. LOQI bag can be folded, rolled or stuffed to store away. Features a generous inside pocket and an additional zippered pouch. Holds up to 20kg and weighs just 55g.